I have this moment received your note[.] Nothing could be more fair or more satisfactory than the principle you lay down in regard to the formation of your council of official advisers. I shall always be convinced that whatever selection you make it will be made conscientiously. I wrote to you yesterday in regard to the rumored intention of giving Mr. Simon Cameron, of Pennsylvania, a place in the Cabinet. I had not then spoken much with others of our party, but I have since heard the matter discussed, and the general feeling is one of consternation. Mr. Cameron has the reputation of being concerned in some of the worst intrigues of the Democratic party. His name suggests to every honest Republican in the State no other associations than these. At present, those who favor his appointment in this State are the men who last winter so shamefully corrupted our Legislature. If he is to have a place in the Cabinet at all, the Treasury department is the last of our public interests that ought to be committed to his hands. 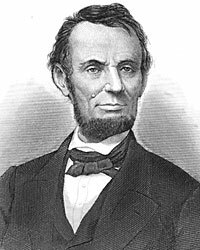 President-elect Lincoln responded to Bryant on December 29: “The ‘well-known politician’ to whom I understand you to allude did write me, but [did] not press upon me any such compromise as you seem to suppose, or, in fact, any compromise at all. As to the matter of the cabinet, mentioned by you, I can only say I shall have a great deal of trouble, do the best I can. I promise you that I shall unselfishly try to deal fairly with all men and all shades of opinion among our friends.”7 The announcement that Seward would be appointed Secretary of State and the leak that Simon Cameron was headed for the Cabinet panicked the Bryant group. 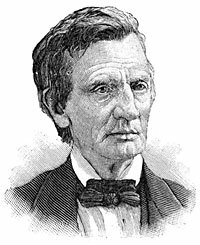 Mr. David Davis, since one of the justices of the Supreme Court but then a private citizen of Illinois and a confidential friend of Mr. Lincoln, and Mr. Leonard Swett, another intimate friend of Mr. Lincoln’s were more free in their communications, promises and concessions to Weed, and also to others who sought to forestall action, than Mr. Lincoln thought it advisable for him to be under the existing circumstances. The comments of the self-appointed ambassador on individuals and their relation to the Albany policy were listened to kindly, but without any satisfactory final, answering response. No committals for, or against any one were obtained from Mr. Lincoln and Weed returned in not a very complacent state of mind to Albany. Though not satisfied, he could not make public his discontent. There was but one course for him to pursue in the great political contest of that year yet with a purpose in view there was some apparent holding off by the Albany clique, and also by certain Pennsylvanians, same three gentlemen (Weed, Davis and Swett) who have been named. 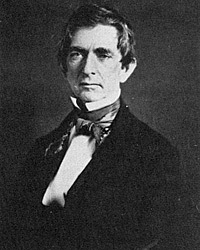 Two others from Pennsylvania were also in the Saratoga conference, at which it was arranged that Mr. Seward should, in the event of the election of Mr. Lincoln, of which there was little doubt, receive as was generally expected the appointment of secretary of state, and Simon Cameron of Pennsylvania that of secretary of the treasury, which was not expected nor wished. This arrangement, though for the time apparently acquiesced in or not emphatically repelled was never ratified and carried into effect by President Lincoln. The few prominent men whom Mr. Lincoln consulted and letters from others whose opinions he esteemed more highly than those of the obtrusive and importunate gentleman from New York, strengthened him in his original purpose. On his way to Washington, and after his arrival at the seat of government, he ascertained from prominent and candid gentlemen whom he consulted in confidence that the line of policy which he had marked out, and the selections he had made, were more in accord with the wishes of his true friends than the narrow and restricted personal and party views of the Albany politicians. In point of fact, the sentiment of the Republicans in Washington he found less favorable to the selection of Mr. Seward than to any one whom he proposed to place in his cabinet. Learning at an early day after the election that the President had my name under consideration, I forebore all communication with him, and declined, though earnestly advised and invited, to visit him or the seat of government while the subject of the formation of the cabinet was undetermined. 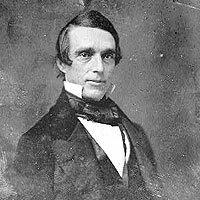 Soon after the arrival of the President in Washington, I received a letter from James Dixon, one of the senators from Connecticut and a resident of my own town, written by request of Mr. Lincoln, propounding certain questions to me with reference to my appointment and a few days later a letter form the Vice-President-elect, Hannibal Hamlin, informed me that the President requested me to come to Washington. This summons I promptly obeyed. One hundred and fifteen Republicans attended the caucus, which was held during the first week in February. Their vote was almost exactly divided between Mr. Evarts and Mr. Greeley. A few scattering ballots were cast for Ira Harris, then a Justice of the Supreme Court. While the voting was in progress Mr. Weed, Governor Morgan, and Mr. Evarts were seated in the Executive Chamber. Eight ballots were taken without material change. On the ninth Mr. Greeley gained give votes, next ballot Mr. Greeley would be elected, unless prevented by a coup d’etat. Mr. Weed conferred with the Governor and with Mr. Evarts, and it was hastily decided that it was better to bestow the nomination on Judge Harris, than suffer the success of Mr. Greeley. Messengers were instantly despatched for leading Republicans, and the next ballot resulted: for Harris, sixty; for Greeley, forty-nine; for Evarts, two, scattering, six. Thus Judge Harris was elected. Burton J. Hendrick, Lincoln’s War Cabinet, p. 105. Charles H. Brown, William Cullen Bryant, p. 423. Abraham Lincoln Papers at the Library of Congress. Transcribed and Annotated by the Lincoln Studies Center, Knox College. Galesburg, Illinois. (Letter from William Cullen Bryant to Abraham Lincoln, January 3, 1861). Harry J. Carman and Reinhard H. Luthin, Lincoln and the Patronage, p. 39-40 (from Godwin, a Biography of William Cullen Bryant, Volume II, p. 152). Roy P. Basler, editor, The Collected Works of Abraham Lincoln, Volume IV, p. 1164 (Letter from William Cullen Bryant to Abraham Lincoln, December 25, 1860). Roy P. Basler, editor, The Collected Works of Abraham Lincoln, Volume IV, p. 163 (Letter from Abraham Lincoln to William Cullen Bryant, December 28, 1860). Elwin L. Page, Cameron for Lincoln’s Cabinet, p. 17-18. Rufus Rockwell Wilson, Intimate Memories of Lincoln, p. 360-361 (Thurlow Weed). Roy P. Basler, editor, The Collected Works of Abraham Lincoln, Volume IV, p. 171 (Letter to Lyman Trumbull, January 7, 1861). Donnal V. Smith, “Salmon P. Chase and the Election of 1860”, Ohio Archaeological and Historical Quarterly, July 1930, p. 535-536. Rufus Rockwell Wilson, Intimate Memories of Lincoln, p. 356-357 (Thurlow Weed). Rufus Rockwell Wilson, Intimate Memories of Lincoln, p. 359-360 (Gideon Welles). Sidney David Brummer, Political History of New York State During the Period of the Civil War, p. 130. Rufus Rockwell Wilson, Intimate Memories of Lincoln, p. 360 (Thurlow Weed). Rufus Rockwell Wilson, Intimate Memories of Lincoln, p. 253 (Richard Cunning McCormick, New York Evening Post, May 3, 1865). Rufus Rockwell Wilson, Intimate Memories of Lincoln, p. 253-254 (Richard Cunning McCormick, New York Evening Post, May 3, 1865). Sidney David Brummer, Political History of New York State During the Period of the Civil War, p. 133 (New York Tribune, February 4, 1861). Thurlow Weed Barnes, editor, Memoir of Thurlow Weed, Volume II, p. 324-325. Sidney David Brummer, Political History of New York State During the Period of the Civil War, p. 135 (New York Tribune, February 4, 1861). Allan Nevins, The Emergence of Lincoln: Prologue to Civil War, 1859-1861, Volume II, p. 446.